I can’t imagine flying, either as a student or instructor, in the old days before headsets were used. Trying to shout and hear over the drone of the engine really wouldn’t help learning; long term, it’s not a good thing for your hearing either. 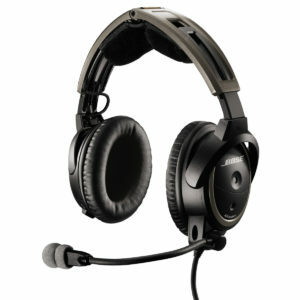 Nowadays, headsets are the standard and with ANR (active noise reduction) the quality of sound and quietness is amazing. I consider a headset a requirement. 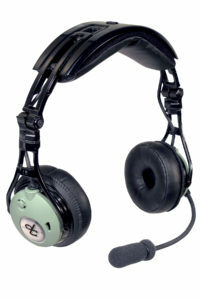 Other than the training itself, a headset is usually one of the largest expenses for a pilot in training. What to look for in a headset? Comfort. You will clamp this thing to your head for hundreds of hours eventually, in several hour increments. If it is uncomfortable, you’ll notice it. If you wear glasses, or anything else that would interfere with the ear seals, make sure you check that out. Noise reduction. The whole point of the headset is to reduce the background noise from the airplane. Noise reduction is either passive (sound deadening) and/or active (circuitry that feeds noise canceling signals into the headphone speakers). Features. There are many possible features, such as auxiliary inputs, bluetooth connectivity, and lots of adjustments. You have to decide what is important. Almost all headsets have some sort of volume control; some put that on the headset and some on a control along the cord. Noise quality. Both the headset and the microphone will impart their own qualities to the sound you hear and that others hear from you. In some cases this can make it easier to hear and in others can hinder it. I let new primary students try out headsets that I have for the first few lessons. This lets them get an idea what they like prior to shelling out the dough. These are mostly headsets that I’ve purchased over the years, from the first headset I bought when I started my training, to a headset I purchased to give to passengers, to my current headset as a flight instructor. 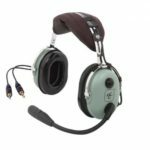 If you want to try out headsets, see if you can borrow ones you are considering from other pilots. In the Los Angeles area, Aircraft Spruce in Corona typically has a setup where you can try on different headsets in a simulated aircraft environment. David Clark H10-13S – David Clark’s H10-13.4 series represents a solidly built, dependable headset that has been incrementally improved over the years. They are not the most comfortable in my opinion, but have good sound quality and a 5 year warranty. The newest models with the flexible boom mic and gel ear seals work well. I would recommend the stereo version, as the price difference is negligible and it will work with either mono or stereo intercoms. There are are several variations, so make sure to get the one with dual GA plugs. 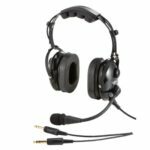 Lightspeed Sierra – Lightspeed has moved more upscale with the headsets they now sell, but compared to most of their competitors, they’re a relative bargain for similar capability. The Zulu (and now Sierra) models compete well with the Bose headset, long considered to be the benchmark for aviation headsets. The Sierra replaces some metal parts with plastic, but costs less, is very comfortable and packs down to a small size. David Clark DC Pro-X – David Clark has come out with a new line of headsets that sit on the outside of your ear instead of covering your ears. Some people really like this design as it feels less restrictive and is quite a bit smaller in size. The version with ENC (David Clark’s version of active noise reduction) is the one I am recommending. Bose Aviation A20 – I bought my first Bose (an Aviation X) about 10 years ago, just before I went on a flight where I knew I’d be in my airplane for nearly 25 hours in the span of just a few days. During that much flying, I never found the headset to be uncomfortable. The sound quality was excellent and quieter than any other headset I’d tried. It wasn’t a perfect headset though. In 2010, Bose released a new headset and it addresses the nits I had with my X and adds bluetooth capability as well. I have used an A20 since then through thousands of hours of flight and love it. It is expensive though. I can occasionally get professional discounts that knock $100 off. But what about X, Y, Z headsets you say. They’re the best! If you have a headset you are considering that I haven’t listed, I’m glad to give any feedback I may have from other pilots I know. I haven’t seen or tried every headset. I have found that many new manufacturers have pumped up reviews on several sites that make me question the objectivity of their ratings, so take any online ratings with a large helping of salt. I personally don’t recommend used headsets. Many of the problems a used headset will have are not going to be immediately noticeable (often they are intermittent issues). The cost to repair a headset (for instance Bose charges a flat $225) is high enough that any problem you encounter may quickly negate the savings. The exception to this rule would be reputable sellers who have put the headsets through a recertification or refurbishment process and are offering some sort of warranty of at least 1 year (this is rare and stock tends to sell quickly). Another exception would be buying from someone you know who is upgrading and selling their old headsets (I got one of my H10-13.4s this way). 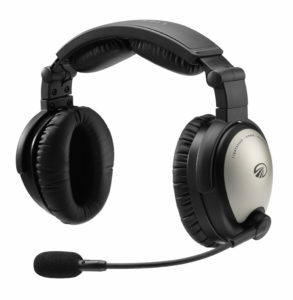 I’ve had several students purchase other headsets, that while they work, have had problems that would make me avoid them: Faro Aviation, Pilot Mall Sound Silencer.